Louise Banks (Adams) is a linguistics professor whose private life has recently been shattered by the break up of her marriage and the death of her daughter from cancer. Getting by but still grieving, Louise is as unprepared as the rest of the world when twelve huge spaceships suddenly appear one day in different locations around the globe. Soon, though, she is approached by the US military – in the form of Colonel G.T. Weber (Whitaker) – to aid in communicating with the aliens on board the ship that hovers over American soil in Montana. The best in her field in terms of linguistics and translations, Louise joins Weber’s team along with mathematician and scientist Ian Donnelly (Renner). In Montana, Louise and Ian are advised that the most important question is, What do they want? Later, they ascend into the ship – called a “shell” by the military – and have their first encounter with the aliens. A symbol is written on the screen that separates the aliens in their atmosphere from Louise and Ian et al in theirs. Using it as the basis of the aliens’ language, Louise soon deduces that the symbol doesn’t just translate into one word, but into many. From then on she is able to determine much more of how the aliens communicate. Meanwhile, at the other arrival sites, particularly in China, suspicion and distrust of the aliens’ intensions are leading to veiled threats of attack on the shells, while violent unrest occurs around the globe. Louise begins to have visions of a little girl, who in various ways helps her to understand more of what the aliens are communicating. When she translates a symbol and the meaning is “Offer weapon”, it causes the CIA agent in charge of the whole operation in Montana, Halpern (Stuhlbarg), to order an evacuation. But Louise insists they should stay, to keep faith with the aliens, and to complete the mission to find out why they are here. She returns to the shell by herself, and by coming into direct contact with the aliens, Louise learns why they have arrived, and why she’s having visions of the little girl, a revelation that has a profound effect not just on her, but on her understanding of her marriage and also, her daughter’s death. 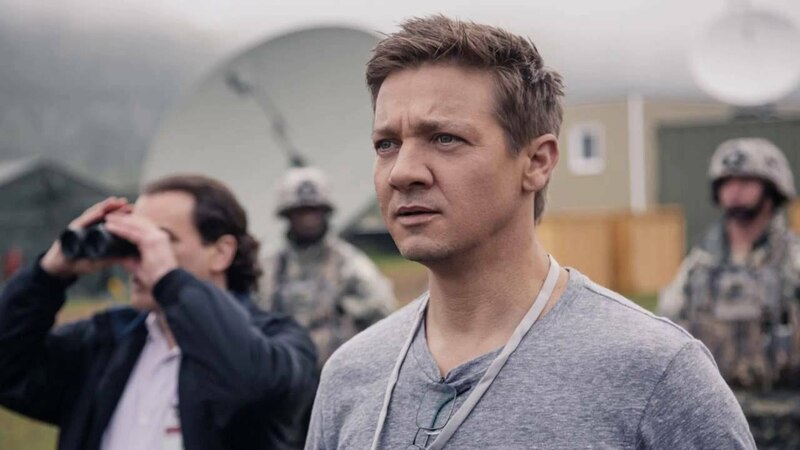 There’s a dearth of good, old-fashioned, serious sci-fi in the movies right now – in fact, it’s been that way for some time – but Arrival is here to redress the balance. Playing with notions of time and memory and the nature of happiness, the movie is a thought-provoking treatise on what it is to mourn a life while discovering at the same time that that life has much more to offer even though the person has passed away. 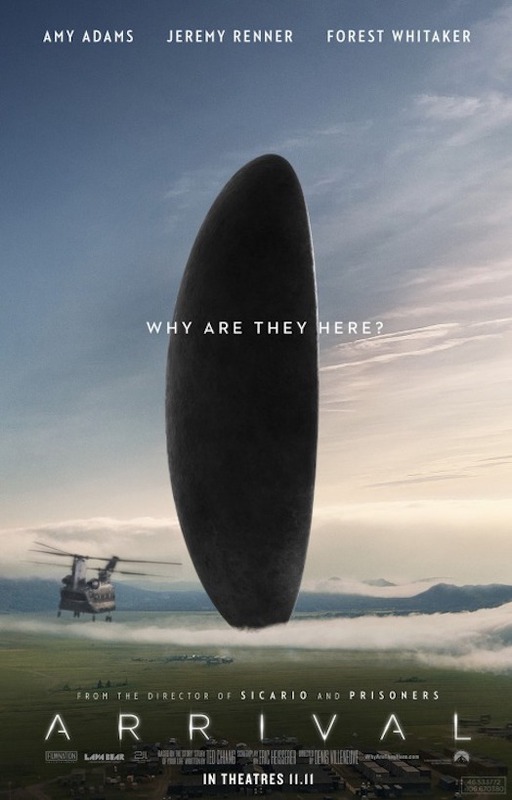 It’s a bit of a mindbender at times, but Villeneuve confidently handles the narrative twists and turns of Eric Heisserer’s script – itself an adaptation of the short story Story of Your Life by Ted Chiang and heavily reworked by Villeneuve himself – so that the viewer can still grasp the subtleties of what’s happening and why. Along the way, said viewer is treated to an intelligent story and plot that packs an unexpectedly emotional wallop towards the end, as the various strands of Louise’s life are brought into sharp relief, and the aliens’ reason for visiting Earth is revealed. Louise herself is brought to life by Adams in a performance that acts as a reminder that, away from the DC Extended Universe, she is still one of today’s finest actresses. As the emotionally distant Louise, Adams shows just how removed she is from everything going on around her – at first. But as Louise slowly begins to unravel the complex patterns of the aliens’ language, she begins to reconnect with herself and everyone around her; and particularly Ian. Adams is the movie’s chief ingredient for success, her succinct, subtle portrayal of Louise proving layered and intuitive, and deeply moving come the movie’s end. But while Adams’ performance is the bedrock upon which the movie supports itself, there’s so much more to recommend it. Though she plays the central character, and the rest of the cast have essentially supporting roles, the likes of Renner and Whitaker still manage to contribute well-rounded and credible characters that are necessary to the plot, while even Stuhlbarg’s paranoid (and potentially one-note) CIA agent fits in to the overall set up without feeling extraneous or unnecessarily villainous. Villeneuve also allows each character to display their own fears and concerns, and a corresponding sense of wonder, at being in such close proximity to the aliens and their craft. Visually, the movie is a gloomy-looking, though consistently well-thought out viewing experience, with Villeneuve choosing to dial down on any bright colours and in doing so, adding texture to the narrative. The aliens operate in a cloudy grey environment and “write” using appendages that produce a black inky substance that is surprisingly vibrant, while at the military base, the various comms rooms and private quarters also lack for vivid colours, with only computer screens providing any brightness to offset the gloom. 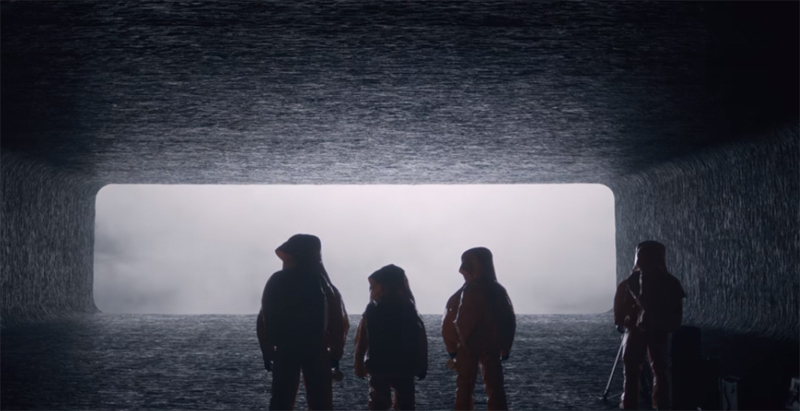 Villeneuve is making a conscious choice here: the bleak, low-lit hive of activity reflecting the interior of the aliens’ ship, as if to insinuate that there is a greater level of connection between “us” and “them” than is immediately apparent. The visuals are more than ably supported by a distinctive sound design that unnerves far more than it reassures, and which also includes a suitably eerie and mournful score by Jóhann Jóhannsson, Villeneuve’s go-to composer. Keeping the viewer on edge as Louise deconstructs the alien message, the visuals and the sound design combine to create a haunting, other-worldly feel that is not only entirely appropriate given the nature of the story, but also serves to highlight the idea that if we aren’t alone in the universe, then ideas of melody and tone may still hold but are likely to be interpreted in completely different ways. Ultimately though, it’s Villeneuve’s confident handling of the material that impresses the most. He’s not afraid to take his time in telling the story, and doesn’t drip-feed all the relevant information at regular points in the narrative. Instead he lets the story unfold at its own pace, revealing key plot points quietly and without the usual fanfare required in other sci-fi movies, and the result is a measured, affecting tale that contains a major twist, one that perhaps for the first time, is allowed to play out over much of the movie’s running time, rather than just suddenly and without warning, and which in its simplicity and emotional effectiveness, elevates Arrival over and above any other sci-fi movie you’re likely to see this year (and probably for some time to come). 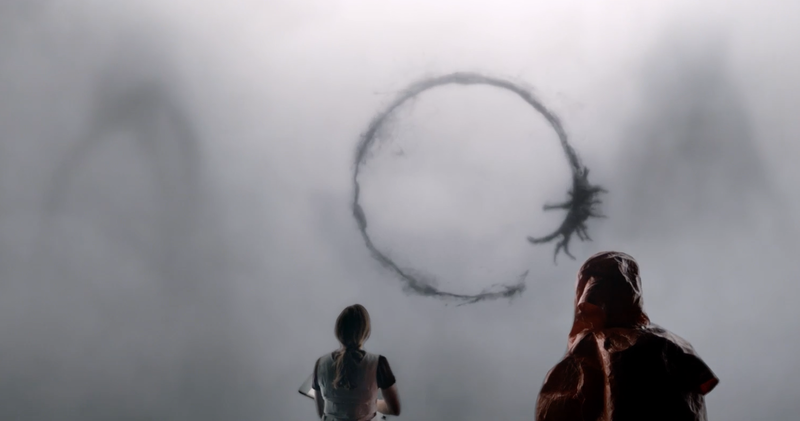 Rating: 9/10 – a beautifully constructed movie with a clever, intelligent script, superb cinematography from Bradford Young, an intense soundtrack, heartfelt performances and all held together by a director at the top of his game, Arrival is a must-see movie that is less about why the aliens are here, and more about why we are here; quite simply, one of this year’s best movies.